What’s Better? CMOS or CCD? The debate continues on which is best; CMOS or CCD sensors. In today’s cameras, CMOS lenses are more typically used as they allow for a more complex imaging effect and for the shooting of 1080p video. 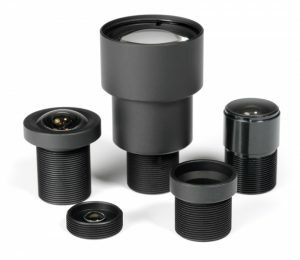 Traditionally, CCD sensors had been believed to have captured and produced higher-quality images with less visual distortion. CCD sensors, however, use more power and offer a slower data-throughput than does a CMOS sensor. When did CMOS take a more center stage footing? The shrinking of today’s cameras are what lead to the rise in the use of CMOS (complementary metal oxide semiconductor) sensors being utilized. When you combine the sensor speed and its processor power, the CMOS sensor is being utilized by more and more camera and smart phone manufacturers. What are some other CMOS advantages? Are CCD (charged coupled device) sensors still being used? You might find it hard to locate a camera or a smart phone that uses a CCD sensor. If you do, it is of the premium point and shoot price point. Cameras with CCD sensors are for those photo enthusiasts seeking professional quality level images. What are some CCD advantages? Whether a CMOS or a CCD sensor is right for your needs is a unique decision that only you can make once you have a thorough understanding of how it will be used and in what type of setting.